We were commissioned to undertake a custom shipping portal integrated with the DHL API for a large London based b2b company who wanted to offer shipping as a service. As we have undertaken various projects which involves integration with the DHL API, Emysea Ltd were confident that we could create a custom portal which would give all of the required features. 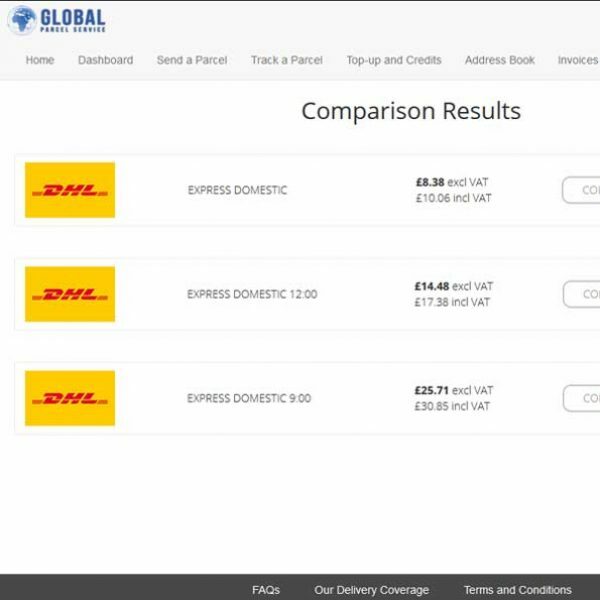 The portal is full integrated into the DHL quotation, booking, label generation and tracking api and so is used to take away any manual entry into the DHL website. Other features of the portal include a top-up and credit function, address book, invoice creation and a notification system for credit decisions etc. The site also uses a stripe payment integration. Design was set to be minimal, although updates are planned for the new year. Exceptional Work, Delivered always on time and in Budget.